– Tonight’s win at Texas Motor Speedway is Haley’s first win at the 1.5-mile speedway, and his third win of the 2018 NCWTS season. – After tonight’s race, Haley has an average finish of 3.8 after four starts at Texas, which includes one win, three top-fives and a finish of no worse than sixth. – With his win, Haley’s streak of consecutive top-10 finishes is extended to 12 races, dating back to his first win of the season at Gateway Motorsports Park. Haley now has three wins, nine top-five, and 17 top-10 finishes in the 2018 NCWTS season. – Haley’s win at Texas, during the Round of Six, clinched his chances of making the NASCAR Playoffs Final Four and running for the 2018 NCWTS championship at Homestead-Miami Speedway. – Sauter earned his seventh career NCWTS pole award and the first since 2016. 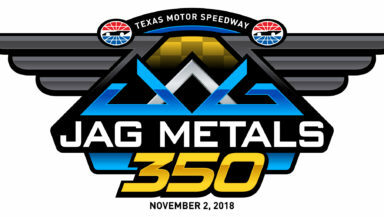 – In his first NCWTS start at Texas Motor Speedway, Creed led his first laps in the Truck Series after racing teammate and eventual race winner, Justin Haley to lead two laps in Stage One.